HOPE Florida Panhandle, Inc. - Hurricane Michael Relief. Merry Christmas! I can’t even begin to tell you how blessed our family feels this year. I know you all feel it too. First of all, let me say how very much Reese and I appreciate every single one of you. 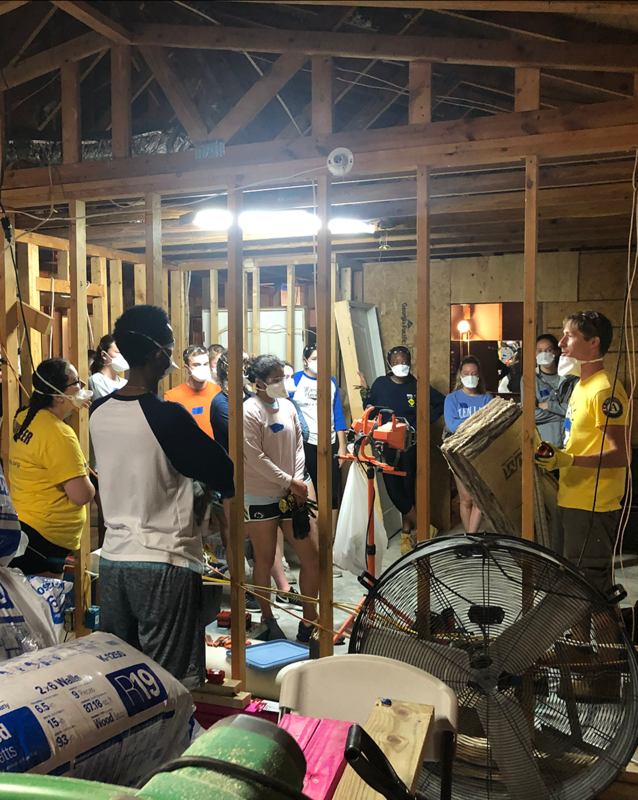 When the terrible devastation of Hurricane Michael hit our home town, we only needed to say “we need help” to have literally hundreds of you step up to the plate. Over the years I have been blessed with so many wonderful friends, but I have never in all my life been so showered by the love of my friend’s friends, and all the supporters that your sharing of information has brought to us and those Panhandle cities that were so severely hurt. In the beginning, Hope Panhandle was only a knee-jerk response to finding help for people in need. When I think back to all the meals and distribution services we were able to provide those first few weeks, it just amazes me at how God was able to drive all of your special giftings into becoming such an organized operation of success in just a short time—thank you for being wiling to step up and raise your hands to help. I can’t even begin to imagine how many kitchens, schools, neighborhoods, drives, and social media posts were out there happening behind the scenes making things work for the greater good. In the beginning, the requests were immediate. Food, water, flashlights, batteries, generators, gas, etc were all items of greatest need. You were chain saw operators, nurses, doctors, therapists, chefs, and gracious servants. During this time, it is estimated you all served over 137,000 people…God bless you. When the next phase of needs surfaced, you all donated cleaning supplies and rakes, shovels, masks, and tarps. You were contractors, carpenters, mold removal specialists, and still doctors, therapists, chefs, and gracious servants. During this time, you all gathered and distributed supplies to people that is estimated to exceed $500,000.00…God bless you. Some weeks after, when the people began to search for something normal in their everyday lives, you educated and encouraged people to move forward all the while gathering school supplies, school uniforms, clothing for new jobs, building materials, bicycles and even cars to help get them back into as normal a routine as humanly possible. You were teachers, fashion experts, transportation providers and still doctors, therapists, chefs, and gracious servants. During this time, you all sorted and distributed clothing and information that provided needs to an estimated 15,000 families…God bless you. Even still, as the temperature dropped you provided a warm place to sleep in your own homes, hotel rooms, mattresses, rental houses, 5th wheel trailers, and even tents, blankets, and sleeping bags to the people who have found themselves with no place else to turn. You were inn keepers, housing managers, real estate officers and still doctors, therapists, chefs, and gracious servants. During this time, you all provided immediate housing needs to over 200 families estimated to exceed $150,000.00…God bless you. Now, as the tent cities begin to close, and the promise of moving back home gets cloudy for people, we have found ourselves in a position to, once again, offer help. I’m still going to ask you to be doctors, therapists, chefs, and gracious servants, and I know you will continue to rise to this occasion. But in attempting to meet the new needs, I am going to ask you also to be laborers. We have an opportunity to help people move home--and on the list of all lists, this is what the people need and want the most. At this time, we have accumulated a listing of around 500 families we have been serving in some way or another—we keep them in our Hope chest. 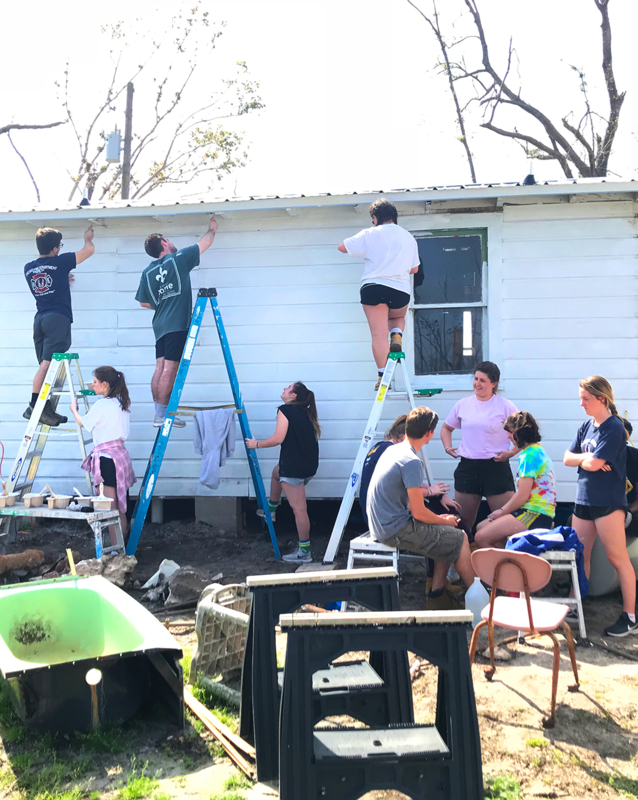 Most of these families still need help in order to get their homes repaired to be able to live in them without the threat of illness from the water, wind, and mold damage the hurricane caused. By patterning our efforts after another proven, non-profit organization called the Saint Bernard Project, we have begun to make plans to rebuild. We have used their methods and corporate relationships to identify families that could use our immediate help and educate homeowners on the federal funding they are owed, help them navigate the system of contracting, and save them money on volunteer labor and contracting discounts. 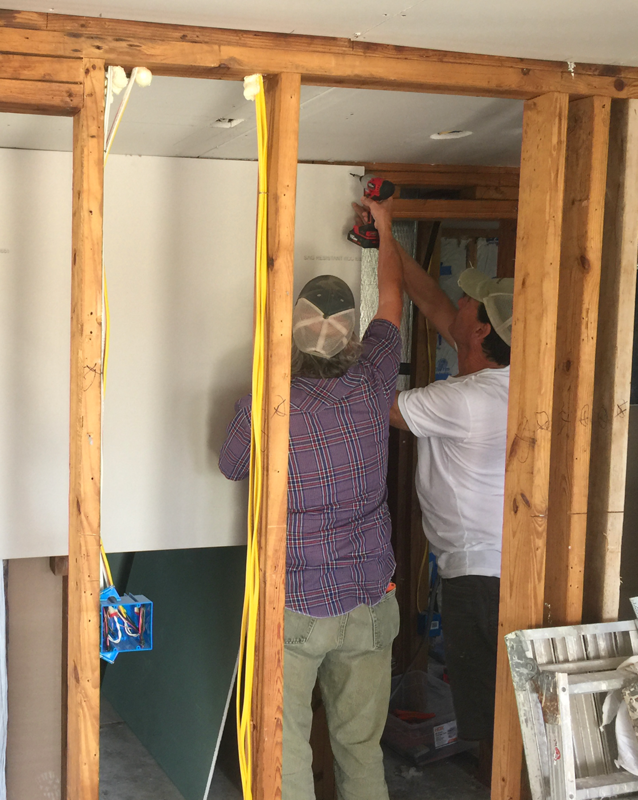 We will send adjustors to those homes we can re-build and negotiate contracting services while we provide building materials and volunteer labor. We have set goals already to move at least five families back home by Christmas, an additional 20 in the next three months, and as many as 50 by summer. Hope Panhandle will now have two initiatives. We will maintain our Helping Hands initiative where immediate supplies are donated and distributed to families in need by our volunteers and volunteer providers. Volunteers willing to serve under this initiative will cook meals (casseroles), host community days, partner with local schools in an effort of family support, plan “welcome home” celebrations, and distribute supplies on a scheduled basis. Our new initiative of Hope Housing will provide logistics and organized, voluntary labor in physically rebuilding homes. This means, we will be searching for groups of youth, bible studies, class reunions, neighborhood friends, etc. to collectively come together and provide a home for someone who has lost theirs. Volunteers don’t need to have labor skills, and they need only be 14 years old. We are uploading this information on our website, and have attachments of logistics for signing up. You can begin as early as next week on these new efforts if you are ready. Please keep in mind that the most important aspect of help remains—we must remember the people. When the hectic nature of the efforts dies down and the urgency of the situation passes, we must make it a priority to still remember what the Panhandle looks like and will resemble for many years to come. It’s our job to tell the story of those who can’t tell it themselves. Thank you so much for your support. Honestly. It means more to us than you could ever, ever imagine. You are the real difference makers. We are grateful. May God continue to bless you and your families this holiday season--we wish you hope and an abundance of love.